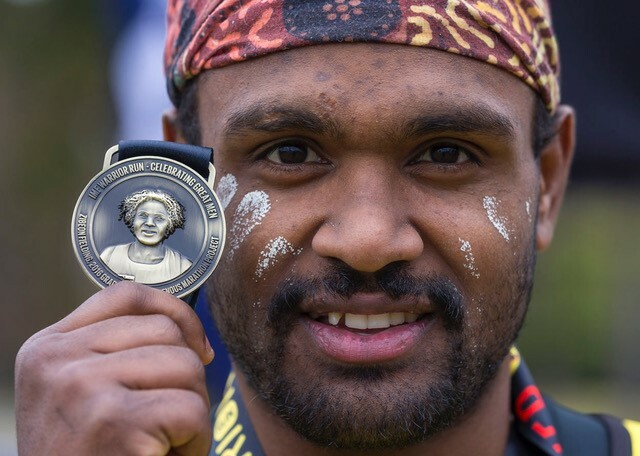 My name is Zibeon Fielding, I’m 25 and hail from Mimili, a remote Indigenous community situated in the far north-west region of South Australia on the Anangu Pitjantjatjara Yankunytjatjara Lands (APY). I am a father, runner, health worker and Indigenous man working towards a healthier, happier community in my home of the remote APY lands. 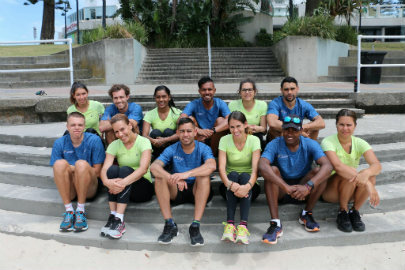 I was one of 12 selected participants to run the New York City Marathon with the Indigenous Marathon Project under world champion Robert De Castella in 2016. 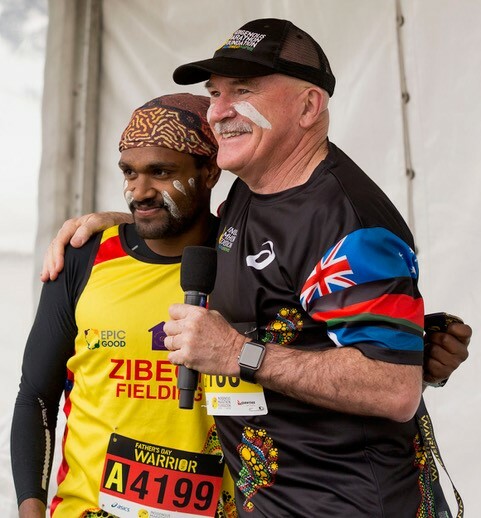 In 2018 I ran the Boston Marathon with the support of the philanthropist organisation, the Epic Good Foundation, and organised an ultramarathon of 62kms from the neighbouring community Indulkana to Mimili. 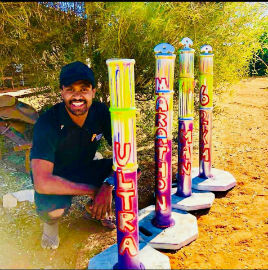 The ultramarathon raised over $50,000 to support Purple House https://www.purplehouse.org.au/ in Alice Springs to fund dialysis services for the APY. My goal was to help raise enough money for Purple House so that people living away from community because they suffer from chronic kidney failure can return to their communities and still get the treatment they need. And, with the support of South Australian Film Corporation, I had the opportunity to personally direct a documentary called Running 62 which we will be touring to the communities with the intention of inspiring the next generation (and older community members too) to get running! As a health practitioner I’m at the forefront; every day I see many people on the edge of developing diseases at a young age and dying from chronic problems such as renal failure. These people are the friends, parents and children I’ve grown up with. I want to promote a healthy lifestyle and positive change in the community through the running and exercise culture. The dream is to build a community gym – giving the young people a place to gather, an activity to do and employment opportunities as personal trainers and staff. 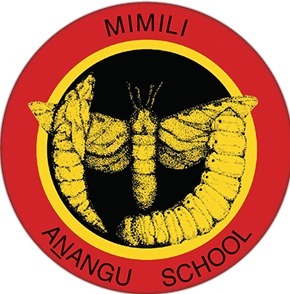 The community gym is an idea the students of Mimili School came up with. The 62km ultramarathon was a huge mental and physical challenge. I now have another goal ahead of me and set the challenge to be the first man to ride around the entire APY Lands from the Stuart highway in South Australia along the outskirts of the Northern Territory and Western Australian border to my home town Mimili. Over seven days, from the 15th -21st of April 2019. Around 700km in total. 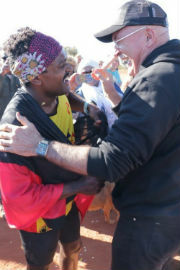 On the final day I’ll ride into Mimili to finish the race and celebrate with the community. 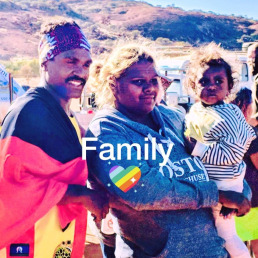 Along the way will stop off in the community to talk to school kids about health, nutrition and exercise and how to become young, strong, independent leaders for their family, community and culture. We aim to raise $30,000 dollars to help build the community gym. My latest challenge, Running 62 is a testament to my determination to inspire my community to get healthy. I want to continue challenging myself, and bringing the community along with me, promoting a healthy lifestyle and working for positive change for our people and the future. I aim to be a man with a responsibility who’s driven by his purposes to make change and inspire. I’m reaching out to you for support to help fund a community gym. 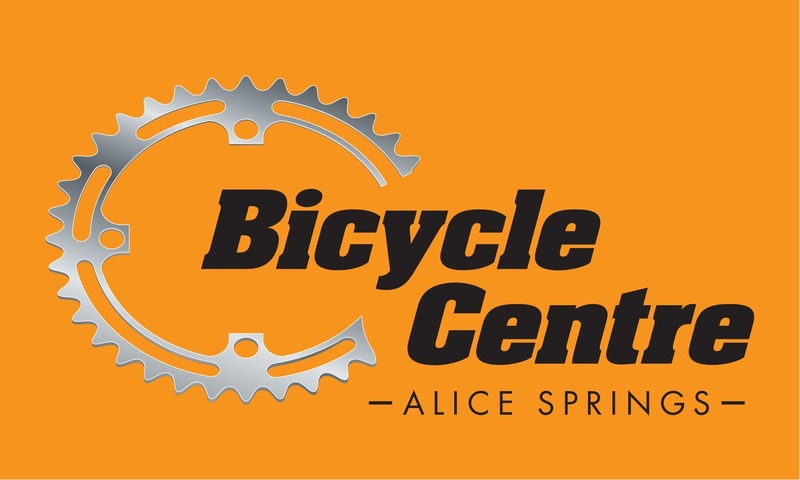 I hope you’ll donate to the cause, and join me on this EPIC bike journey (virtually, over the internet) around the beautiful APY Lands. 1. Make a donation and share the appeal with your friends and family. Elliot Roberts $106.00 Too much bro. Keep up the good work. You are a legend. Lesley Rawlings $500.00 Great to see the impact on your local community. Ace Coote $53.00 Inspirational Zibeon - you are making a positive difference to people's lives. Loretta Buchhorn $53.00 Congratulations on the success of your wonderful initiative, Zibeon!! Jodie Bishop $149.46 You are really inspiring! Anonymous $20.00 Best wishes. You are an amazing guy. Lorraine Dixon $106.00 Zideon you are such an inspiration. We should all be supporting your dream for your people. Best of luck in all your endeavour. Terry Hemmings $106.00 Well done, we stand in awe of you !! Kate Ralton $53.00 Inspiring, well done! Elaine Stiles $31.80 fantastic effort to do something positive under such difficult terrain. Hats off to you Zibeon. NORLELA MOHAMED $53.00 Best wishes in your journey. Anonymous $53.00 All power, strength and good will to you. Maggie Lennon $31.80 I wish I could give more. Thank you for doing this. Tom McAlinden $53.00 What an amazing initiative that should be shared more widely, great job Zibeon. Leigh Thomson $53.00 We found your story inspiring; keep up the amazing work! Peta MacKinnon $21.20 Home stretch Zib - inspiring and EPIC effort! Fiona Lange $53.00 A gym will be fantastic Go Zib! Christine Norton $26.50 Well done and best wishes on achieving your goals ?? Andrew Griffiths $53.00 Andy Griffiths (eye team) is most jealous of your ride. Next time I'll join you just to keep you honest! See you in a few weeks for our next visit. Good luck! Mark Mussared $106.00 Good luck with the Epic Tour! Sophie Miller $21.20 Good luck mate. Fiona WearingSmith $53.00 Go Zibi, you always inspiring and doing things for your community, you’re an absolute legend. Joey Fagan $53.00 Looking forward to Bikes Palya getting behind your great initiative and helping to spread the healthy message! Laura Sharley $53.00 You’re amazing Zibby! all those early morning training sessions and hard work you’ve put in will be worth it! So inspiring how far you will go (literally) to help the health of others! Luk Peeters $21.20 Great initiative! Mark Ashburn $106.00 Inspirational stuff! Andrew Reid $100.00 I love everything you are doing great man. You’re a pioneer, never give up!! Lisa Walton $53.00 Great stuff! Georgina Hannaford $21.20 Go Zib, I'll be doing my own 700k ride in early May from Adelaide to Flinders Rangers, mainly on roads though so a much easier trip!. I'm working with kids in Coober Pedy April 21st adn 22nd (then Oodnadatta and then Marree) it would be great if you could come and share your inspiring story. I can employ you! Call me on 0408192279 if you are interested, I'll tell you all about it! Sue O'Donnell $106.00 Best wishes for the ride and setting up the gym. Belinda Petherick $53.00 Congratulations Stuart, Matt and Zib. Awesome achievement! Kate Kearns $100.00 Great listening to you speak in Tokyo Zib. How inspiring! Stephen Thompson $106.00 EPIC effort Stuart & Zibeon - congratulations! Cassandra OBrien $53.00 All the very best! Ciarán Ebbs $106.00 Well done Matt, Stuart and Zibeon on completing the marathon! Stephen Yates $53.00 Nice work Zibeon would love to do that ride some day. Christine Bruderlin $53.00 Good luck, hope you get the gym. Anonymous $53.00 Great stuff. Good luck! Cameron Wallace $21.20 Great idea and a great cause. Steve Bell $31.80 The difference u can start will hopefully have a ripple effect in Anangu now and in the future. Jaeger O'Meara $265.00 Good luck Zib! Jordan Lewis $265.00 Good luck mate. Luke Hodge $530.00 Good luck Zib, great effort mate. Daniel Howe $530.00 Inspiring stuff! All the best with it!! Luke Breust $266.06 All the best Zib. Ride like the wind ?? Donna DeRuyter $53.00 Good luck to all, I do hope you get to finish this marathon Stuart. Anonymous $31.80 Good luck Zib! Aaron Davison $20.00 Good luck! Kate Simpson $265.00 Run and ride like the wind!!! Love what you are doing. Anonymous $37.10 You’ll get there. Excellent work. Karen Ashford $31.80 pedal well Zib - your efforts are an inspiration for generations to come! Christine Elsasser $21.20 How inspiring! Thank you! deborah gough $106.00 I lived & worked in Mimili Iwantja in the early 1980s - I will never forget the generosity of spirit I was shown. Thank you for all that you do ?? Marilyn Reid $53.00 Great project, Zib - good luck with the ride, and with the ongoing future of the gym. Hawthorn Football Club $1,060.00 Good luck Zib from all your mates at Hawthorn Football Club! Marjo Stroud $53.00 Fantastic! Power to your pedals Zib!! Robyn Cooper $53.00 Love your effort Zib! Good luck and ride safe. Molly Mersh $53.00 Goodluck!! Great to see you sharing the message of health and fitness with the community and now Zaachariaha will have some where to train when he is home!! ?? Bruce Underwood $106.00 Hey Zibeon - great project - I hope you smash the ride and spread some of your passion to those tjitji on the way! Christine Bennett $31.80 Stay healthy and happy... GREAT work in supporting the community to maintain wellness. Lisa Waters $53.00 Go Zibeon !! Samuel Webster $53.00 Awesome effort! Karen Harding $21.20 Love your passion for your community. I pray for a safe journey through your beautiful country, and not too many flat tyres! Lauren Gilmour $10.60 An excellent initiative! Hope you reach the goal and get that much needed Gym ! 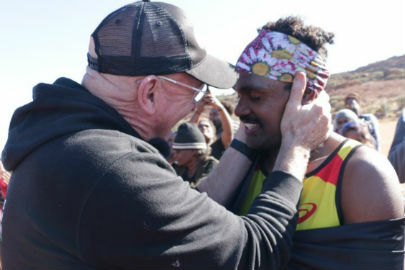 Ross Coleman $53.00 So satisfying to know that we can support a dedicated, determined athlete to help people on the APY Lands improve their lives, through better health and fitness facilities. Go Zibby...you're a legend! Piers Mussared $106.00 Go Zib! Let's do this! Stacy Hughes $53.00 On ya Zib!!! The word "inspiration" does not adequately describe you!! Looking forward to watching this epic adventure, as I did with all your previous endeavours.